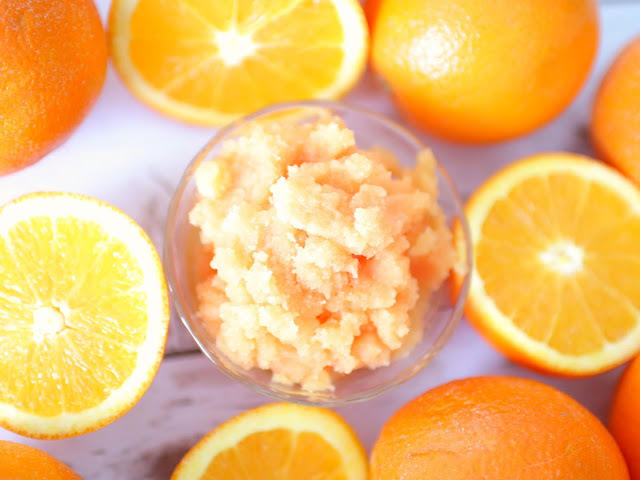 Elle Sees|| Beauty Blogger in Atlanta: DIY Orange Crush Salt Scrub--Dry Skin NEEDS This! DIY Orange Crush Salt Scrub--Dry Skin NEEDS This! "I need your help," my friend panted breathlessly, dramatically waving a glass container around as she walked into my house. My heart skipped a beat, what could be wrong? Charlie waited at her feet for her to pat his head and so he could give kisses. "It's this salt scrub. I need you to recreate it. I got it at this resort, they make it. It's like $50 or something. I'm almost out. It's the only thing that works on my hands so they don't look like a crocodile." I started giggling, and let my heart calm down. I was worried for nothing--no more scary movies for me before bed. I handed Charlie over in exchange for the salt scrub. His tail wagged in appreciation. A salt scrub? That, now that, I could do. After some trial and error, I was able to recreate it, minus the fact that I added color to make it cuter. What? I had to. And now I'm sharing it with you. If you have dry skin, especially after winter, you'll want to try this on your hands and/or body. You can find all of these items online, like Amazon.com. Mix in a large bowl until blended. It should be the consistency above. Store in an air tight container. Use on body and hands, but not face. Scrub and rinse off. Your skin will be soft and very moisturized. You'll rub in the oil and pat dry. This stuff is VERY moisturizing, so please, please exercise caution if using in the tub. I only use it on my feet if I'm using a foot spa or sitting on the edge of the tub. I prefer it on the backs of my hands or legs. If the consistency is too oily, add a little more salt. Over time, you'll find the scrub will need to be stirred to get it back to the original consistency. I like the litsea cubeba because of its citrus smell and antifungal properties, but it is not needed. If you are pregnant or have sensitivities, please be sure to check with your doctor before creating/using the scrub. Make sure to use a sunscreen on your skin to protect it from the sun, since orange is acidic. Feel free to make a smaller batch. This should keep for several months. Do you use salt scrubs? Headed to the mountains for a mini vacation. I can't wait for some relaxation. Have a great weekend. Kylie Lip Kit GIVEAWAY--enter here. Remember my Top Knot tutorial from Monday? Goody hair liked it so much they featured it on their Facebook page!! Made my week!! I need to make this ASAP! My skin is so dry in the winter and my hands look horrible! Thanks for sharing! Have a wonderful weekend! I bet this smells amazing! 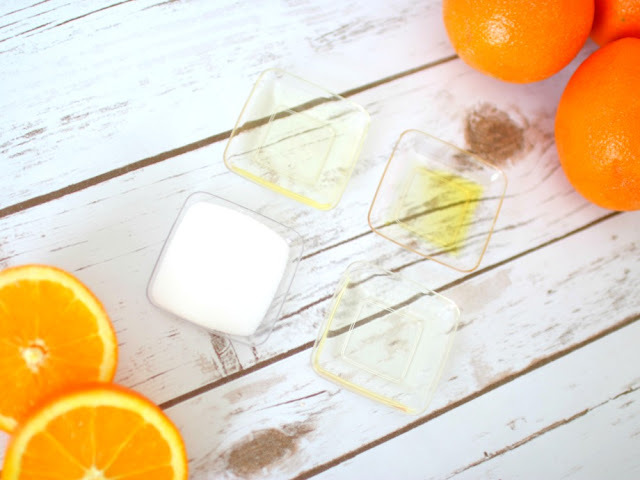 I love anything with a clean citrus scent. Have a great time in the mountains this weekend! oh this looks amazing! orange is such a refreshing amazing scent too. have fun in the mountains!! This sounds so good. You should totally set up your own shop! I'm only familiar with sunflower oil and never even heard/seen the other two! Bookmarking this for sure and have a great mini vacation, Elle! I bet this smells so good! I'm about due for some exfoliating! You're like the queen of beauty DIYs! Enjoy your mini vacation Elle! This sounds amazing. I love orange scents!! I hope you enjoy your vacation! OMG thank you! I had some similar scrub everywhere we went in Key West and I bought some and just ran out! I am pinning! Have a great vacation! Heading that way in May and I cannot wait! My hands and feet are SO dry in the winter! This sounds great and that's so cool that you were able to recreate this for your friend. Oh my gosh I really need to make this. My feet get so dry! Not even in the winter, they are just always dry! Thank you!! I bet this smells amazing, and it would be perfect for preparing for spring-bare leg/arm weather! I bet this smells heavenly! You always make the best scrubs! I definitely need to give this a try, especially with the warmer weather coming up! This sounds so amazing! I am excited to try this out! 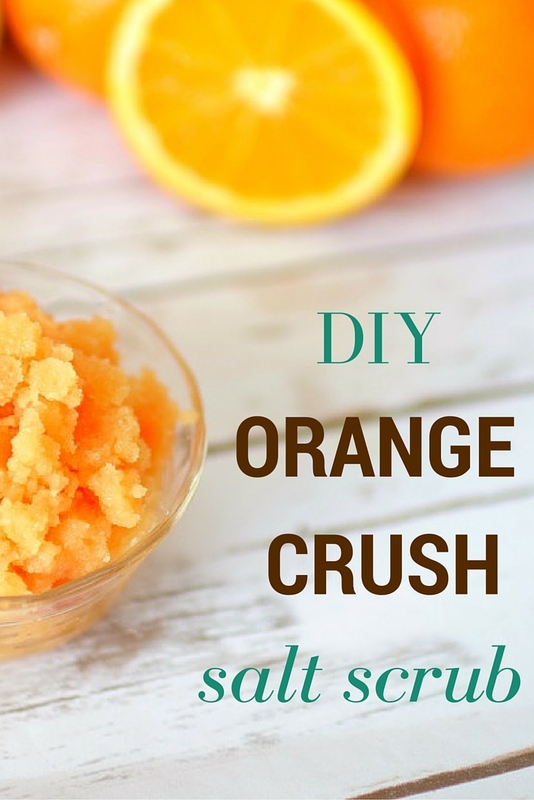 Perfect for an at-home pedicure for spring! This sounds great! My hands have been very crocodile-like lately, and I think I actually have most of these ingredients. I bet this smells wonderful! Cottonseed oil just sounds fun haha. You have at the best DIY. Enjoy your getaway. Oh, I bet this smells so good!! Congrats on the FB call out from Goody!! YUM! 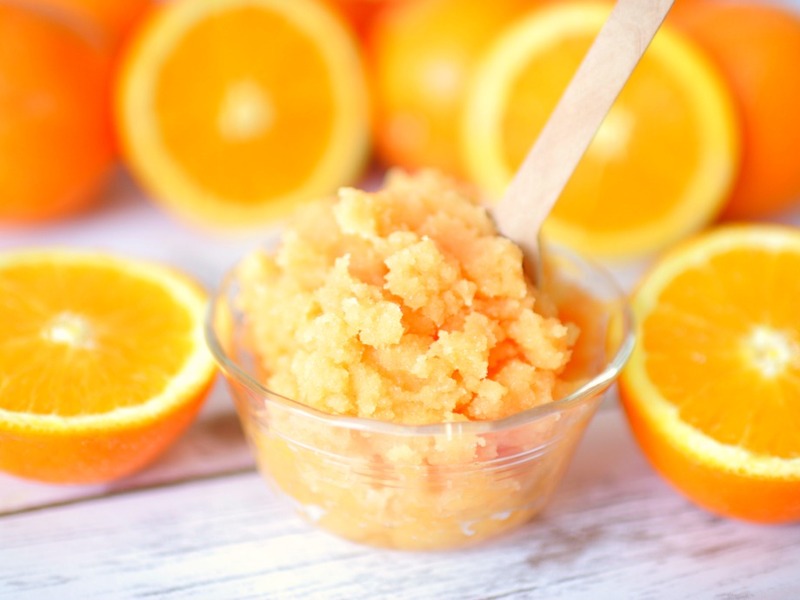 I use a lemon salt scrub right now, but I love anything citrus. I'm pinning this for later! Have fun on your weekend getaway and congrats on the Goody love! 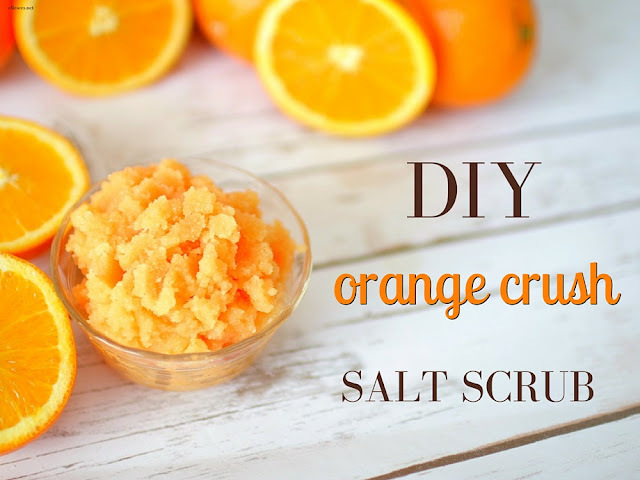 This sounds so amazing, and I always love a good salt scrub! I hope that you're enjoying your mini vacation! It just LOOKS like it smells good. Is that weird? I think adding the color was a good call! Oh, this looks positively incredible - especially for spring! That's so awesome that you were featured on Facebook! I can practically smell this through the computer. If anyone can figure out how to recreate something, it's you! So awesome that you were able to create a similar scrub for your friend! :) I bet this smells amazing too :) The colour looks great as well. I would use this. I love the scent of orange. So refreshing. Look at you lady! This is incredible, I wish I could put together something like this, I wouldn't even know where to find half of these ingredients!